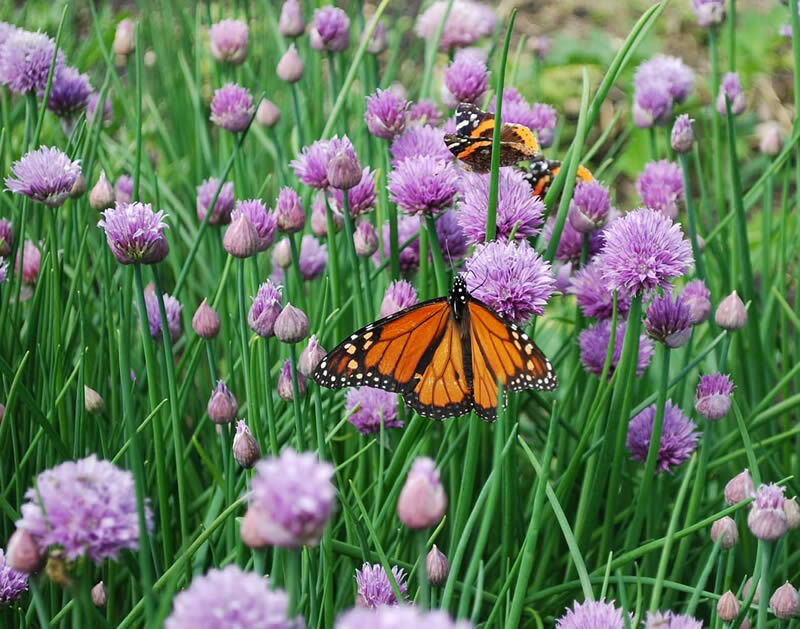 Report the FIRST monarch butterfly you see this season, even if you don't see your first until August. 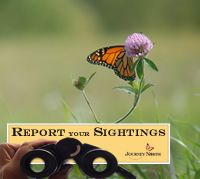 Report ALL monarch butterflies you see this summer. Whenever you see a monarch, we want to know. 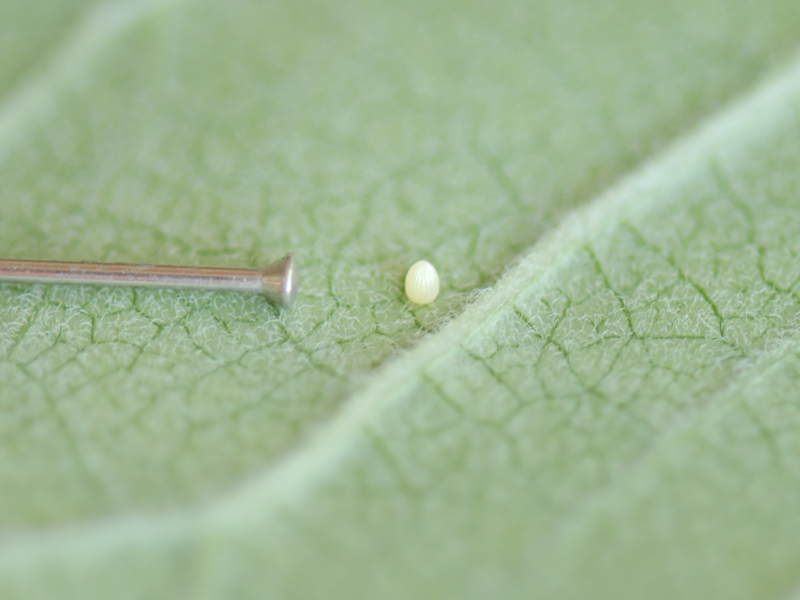 Report all monarch eggs. 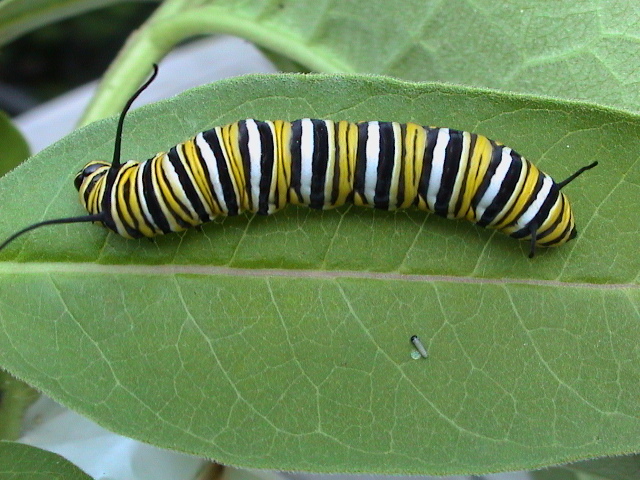 They are usually found underneath young milkweed leaves, but may be along the stems or in budding leaves at the tip. Report all monarch caterpillars. Larvae hatch from eggs about 2-5 days after they were laid. The two larvae in this picture show how much a caterpillar can grow in about two weeks. All sightings are included on Journey North's real-time maps. 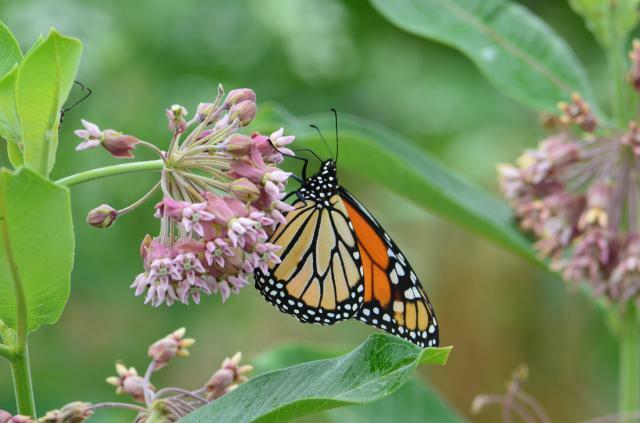 Citizen scientists are making important contributions to the understanding of monarchs and migration.